So, my biggest takeaway from this viewing is that these men are not supposed to be liked, I'd never seen it from that perspective. No, these characters are supposed to be liked. The perspective isn't someone from the outside. It's Henry Hill from inside and he's talking about his life in the only way he knows how to - by bragging about it. I was speaking from my own moral standings on them rather than how Scorsese wanted them to be portrayed. I probably didn't make that clear, but don't want it to be confused. Congratulations to us, we've successfully talked about this movie more than it had ever been in this thread! Understandable point. As we get older and change, every viewing is a different experience in what we see and focus on. Doesn't matter what the film is. 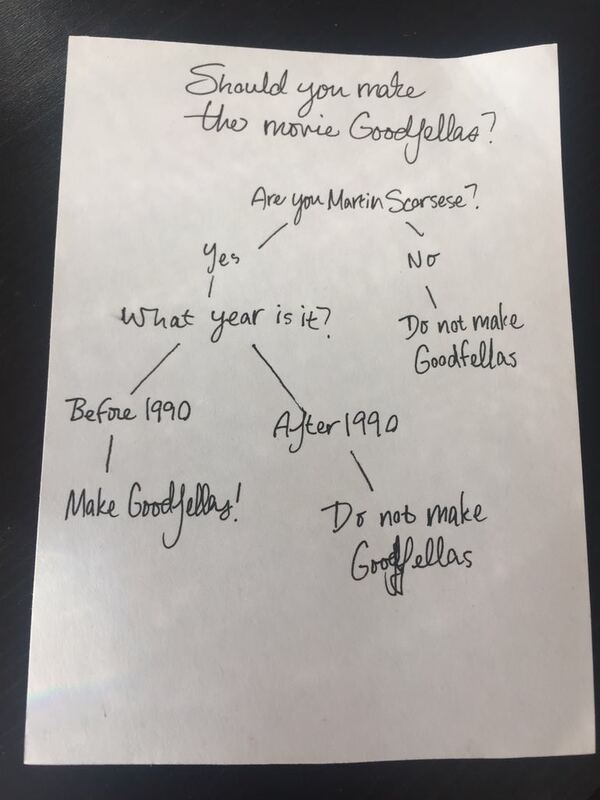 For a lot of us, Goodfellas is a benchmark film because it mostly likely was one of the first Scorsese movies we saw. It definitely was one to get fully behind and join in the chorus of being good because it's also so enjoyable. Still, I can tell the type of story Goodfellas is has always been an interest for Scorsese. He's tried to evolve it later (very well done in Casino) and I don't think he will get more excessive or grandiose as he does in Wolf of Wall Street. The film badly needs an editor for extensive trimming, but it's also Scorsese staying true to the idea of lifestyle being a focus and when it's about excess, there is no idea of "too much" in what can be put in. Can just delete that rightmost node, and direct it to the bottom, but yeah, I dig it.